Are you switching from PHP Storm, Web Storm or Sublime? I personally love JetBrains’ IDEs and of course Sublime is amazing. I used both of them for many years now. But when ever I go online I look at people’s working on Visual Studio Code everywhere. I see people who make tutorials are using Visual Studios Code. I said to myself I have to give it a try. So I downloaded Visual Studio Code. Oh Man! It’s fast, if you don’t have it already, click here to get it. Now I can only keep using it, if it’s adding value, plus it can do all of the things what PHP storm used to do. Turns out installing Visual Studios Code is not everything. We also need to install extensions which can do functions what we want. 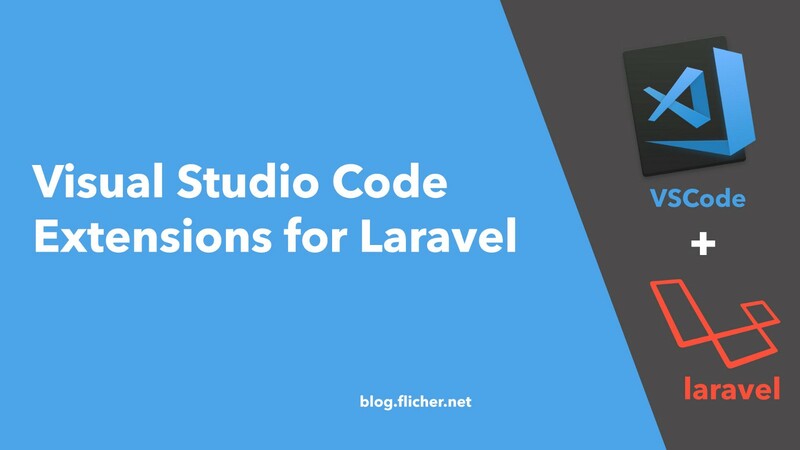 So let’s look at some extensions for Laravel which can make our life easier. As we also use shortcuts for everything. We try to make less use of our mouse. Now Visual Studios Code comes with it’s own keybinding. You can can go to Preferences > Keyboard Shortcuts to see all key bindings. You can learn them again or you can double click on any shortcut and assign it a new one. But it’s time consuming and uncool. Luckily we have extension for this. Install this if you are coming from Intellij’ IDEs. By installing them, it will change all of your keyboard shortcuts to one’s, you used to use in other IDE. Wonderfull Extension to provide developers with essential functionality that makes coding enjoyable and productive. Another Productive Extension to run Laravel Artisan commands from within Visual Studio Code. You can use command palette to run php artisan commands, by default keyboard shortcut is cmd+shift+P on Mac or ctrl+shift+P on Windows. I personally like this extension a lot. As it let us add Snippets of Laravel quickly. As you start type, it will start showing you suggestions. Most of the errors of imports, will be taken care by extension we installed previously PHP Intelephense. But sometimes some import missing and we can either type it manually or we can use this extension to import the PHP file for us quickly. Visual Studio Code by default comes with beautiful design. But this extension can make it more minimal. I personally like Material Theme High Contrast version. As a developer, my code editor is my most important tool. I wanted to make it productive as possible. If you know any extension which adds value and I missed it, please leave a comment below or ping me on Twitter. Originally published at blog.flicher.net on February 18, 2019.